Ephedra is actually a Chinese herb that has been used for centuries for many different physical ailments, illnesses, and problems. Ephedra as a diet pill used to be legal in the USA, but it was banned by the FDA in 2004 as a diet pill, weight loss supplement, weight training aid, athletic enhancer, and anything else to do with weight loss, athletics, or body building. The ban on Ephedra doesn’t mean it can’t be sold for purposes other than as a diet pill. Ephedra, also known as Ma Huang, can be sold to help in other areas. People who use Ephedra for alternative medicine, such as acupuncturists, herbalists, and practitioners of Oriental medicine, can use Ephedra to treat many illnesses and physical problems. Asthma, colds, and even headaches may be helped by some form of Ephedra. The making and selling of Ephedra tea is also legal, and it may be used for medicinal purposes. Ephedra powder or pills are also available to use for colds, coughs, and other health problems. As a weight loss product, Ephedra has the effect of speeding up the metabolism. It also has the effect of causing an irregular heart beat, seizures, heart attacks, strokes and even death. With such serious side effects, the ban on Ephedra was given to protect people from life-threatening issues. Ephedra also acts like an appetite suppressant, dramatically reducing hunger. Sometimes, Ephedra was combined with caffeine and would have a stimulant effect on the body. As a medicinal supplement for asthma, Ephedra has the ability to help the bronchial tubes expand, allowing breathing to become better. Ephedra has an anti-inflammatory property that can help with headaches. As a body building or athletic supplement, Ephedra is able to help with performance, muscle mass, and energy levels as well as metabolism. Though Ephedra diet pills are no longer available in the USA, many people use this chemical in other forms to help with weight loss or control. 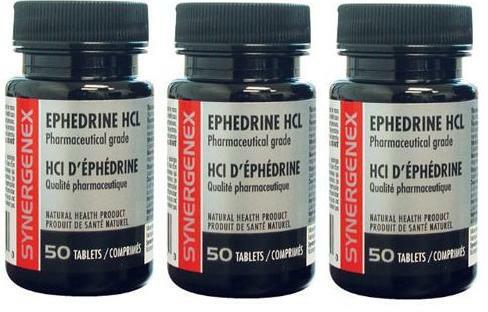 If Ephedra is used, monitoring your reaction to it is very important. you should discontinue use immediately. People who have a history of heart problems, blood pressure abnormalities, depression, thyroid disease, hypoglycemia, anxiety, mental illness, seizures or stroke, kidney stones, glaucoma, or an enlarged prostate should not take Ephedra in any form. Ephedra is known to raise body temperature, so those who are especially heat sensitive should also avoid taking it. Though Ephedra might be helpful to some people in weight loss, taking it puts many people at an increased risk of potentially deadly side effects. Ephedra diet pills, though banned in the USA, are still being sold and used in ways that can harm people. If you are considering using Ephedra, consider all the potential risks involved, both physically and legally. Is it really worth taking something that may have so many consequences attached to it? Considering all the good diet pills, programs, and other options available, Ephedra might be the worst of the choices you could make. Ephedra diet pills are illegal and dangerous. Thinking about using Ephedra first could save your life. Making the decision to lose weight is great; doing it in a healthy way is even better.